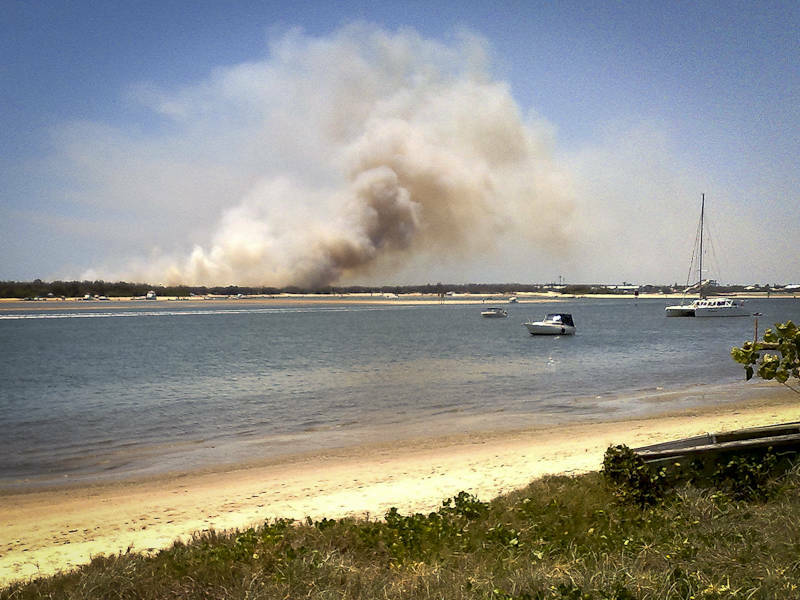 We saw this grass fire on The Spit this morning on the way back from cycling to the post office. Apologies for the quality as I only had my 8 year old N95 phone to take this picture. Queensland is currently experiencing +10C above average temperatures. Despite seeing plumes of smoke drifting over our house in Southport, this has not been the most alarming effect of climate change I have seen this week. For the last few years I have been working for a 360 degree photography specialists called Panedia. My main project has been producing content for the Global Reef Record. I have processed over 1 million images in Photoshop to create a control base line for coral reefs around the world. A handful of reefs have been re-visited. In preparation for COP21, I processed 2 sets of images from Kahaului Point in Hawaii taken 10 weeks apart. If I had not checked the GPS myself I would not have believed it was the same reef. The extent of coral bleaching was frightening. I saw a lush oceanic forest transformed into a dying sea bed.